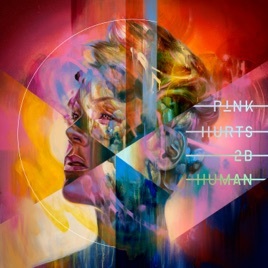 “Hurts 2B Human was sort of a pebble that rolled downhill and became this boulder,” P!nk told Beats 1 host Zane Lowe. “It just kept steamrolling.” In 2018, while touring her seventh album, Beautiful Trauma, the singer found herself in spontaneous recording sessions with musicians she’d never worked with before (Beck, Sia, Chris Stapleton, Cash Cash, Wrabel, Imagine Dragons’ Dan Reynolds, and many others). Eventually, she realized she'd made album number eight—a lightly political package of sentimental ballads and pregame bangers that feels like like classic P!nk. The topical numbers speak to the times. “The news will try to make you believe that everybody hates each other, and it’s just not true,” she said about the inspiration behind the title track, which features Khalid and was written by Teddy Geiger (best known for authoring some of Shawn Mendes’ biggest hits). “I am a woman, Khalid is a man, he’s African American, I’m Jewish... Everybody has their own experience and is going through something, so it’s all about the circle you create around you to get through all the bulls**t in this world. That’s where this song came from.” In the EDM-inspired "Can We Pretend” featuring Cash Cash, she asks rhetorical questions in an effort to escape reality: “Can we pretend that we will fight the president?/Can we pretend that we all end up okay?” Dizzying synths storm in before there’s time to ponder the answer, nudging listeners to let go and live in the moment. 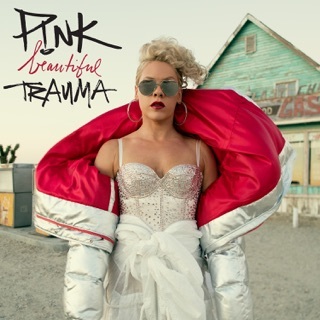 I'm a P!nk fan, and while I do agree that this album does sound a little bit cliche, I still think this will be a fairly good album. I wouldn't call yourselves P!nk fans if you don't enjoy 2 songs that just came out from an album that hasn't even released all of the other songs. Give it a chance before giving it a poor rating. P!nk is best what she does and the best creating her own music, song writing and produce her own music at least we can hear her lyrics and know what she is feeling unlike others singers that sing about hate beating girls using them like some b!tch hoe and killing people and saying F*%k The Police blah blah blah... P!NK sings the real sh!t P!NK cares about her fans and she produces her songs for her fans... THANK YOU P!NK!! !